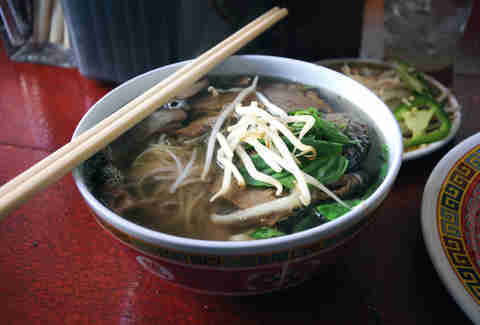 While we love a good bowl of pho, there’s so much more to Vietnamese food than just the noodle soup. 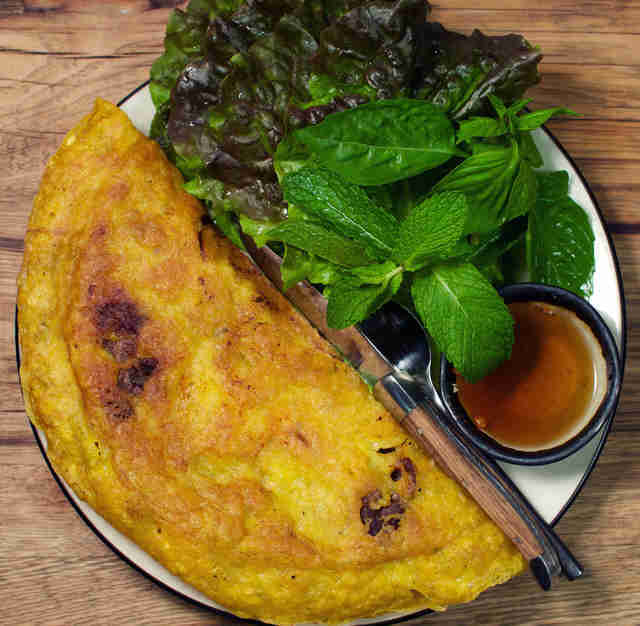 To help you navigate through the growing number of Vietnamese eateries in town, we’ve put together a guide on where to find the very best options, broken down by dish. From a superior bánh mì shop in Sunset Park to two restaurants run by Slanted Door alums, here’s where to go to get your fix. Located on the industrial border between Brooklyn and Queens, this bamboo-thatched spot turns out some of the city’s finest Vietnamese cooking, courtesy of brothers Jimmy and Jacky Tu. A must-order is their take on bo luc lac, featuring seared beef cubes punched up with toasted peanuts and fried garlic. If good spring rolls are your jam, then add this NYU favorite to your rotation. With minced pork, shrimp, and rice noodles encased in a golden-brown shell, the crunchy cigars are certifiably addictive. 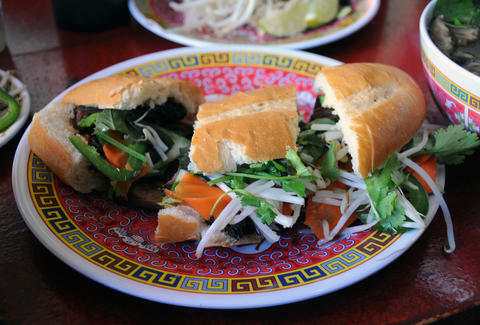 Everything about the bánh mì at this barebones sandwich shop is top-notch, from the crusty baguettes to the assortment of meats. While all eight options are excellent, it’s the No. 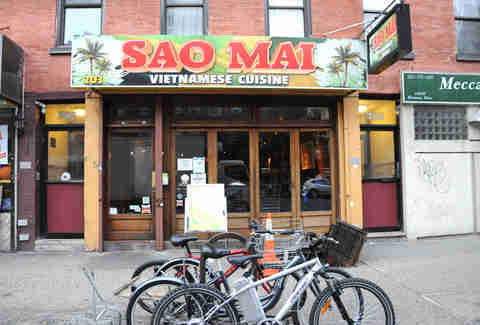 1 -- smeared with a luscious layer of pâté and crammed full of Vietnamese cold cuts and crunchy pickled vegetables -- that keeps us coming back again and again. The house special Bun Sao Mai comes with a bit of everything: chopped spring rolls, grilled shrimp, pork, and vermicelli, all for you to douse in the house nước chấm. It’s a satisfyingly good meal, whether you eat in or take out. Chef Henry Trieu -- another alum of Slanted Door -- gave a childhood favorite a modern update when he opened this cozy French-Vietnamese eatery. 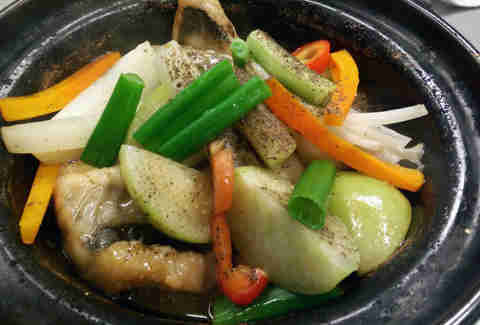 Tweaking a family recipe, Trieu braises catfish fillets with tomatillos, scallions, onions, and bell peppers in a clay pot until succulent. Coated in a sweet-savory fish sauce that’s been caramelized during the cooking process, the pot’s bubbling hot contents are best when spooned over a big bowl of rice. 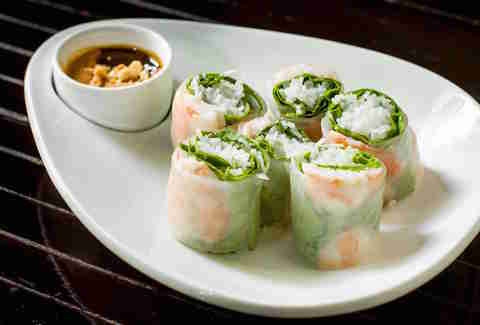 Unlike the stiff summer rolls we’ve all gotten as part of a takeout dinner, the ones at this fancy Midtown restaurant are as fresh as they come -- the supple, see-through wrappers bursting with whole poached prawns, shredded lettuce, vermicelli, and mint. They come with a peanut hoisin dipping sauce that needs to be bottled, ASAP. 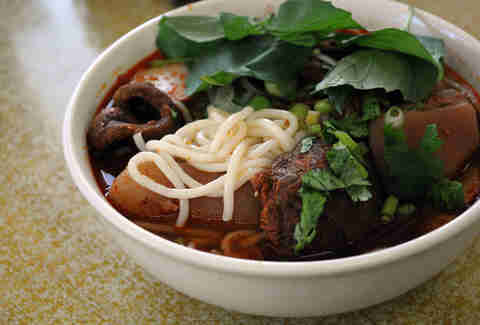 The fiery red color is an obvious clue that this noodle soup comes with a serious kick. Native to Vietnam’s central city of Huế, the bowl is a true belly-warmer, chock-full of beef, bones, and slippery, spaghetti-like noodles. One slurp and you’ll see why it deserves more time in the spotlight. The cup of joe at this Queens bánh mì shop is as classic as they come: New Orleans' Café du Monde grind gets filtered slowly through a Vietnamese coffee filter and sweetened with condensed milk. But like the creative menu (bánh mì fries, anyone?! ), you can go a little less traditional with variations like a chocolate-infused mocha or a Frappuccino-like drink topped with whipped cream. Patty Lee is a reporter and editor who has written for Zagat, Time Out New York, New York Daily News, and Cooking Channel. 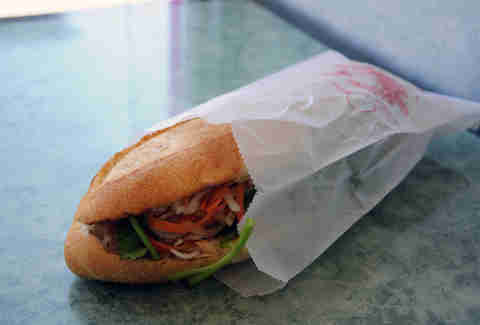 She will happily live on a diet of pho and bánh mì. Follow her on Twitter and Instagram.